Components: Inflatable Bouncer, Inflatable Interactive Product, Water Bed, Wide Slide, Soft Shapes, The Arch, Inflatable pirate Product, Colorized Round Ball Pool, Building block, Educational Toys, Cartoon rocking horse, Soft Mat, etc. Components Inflatable Bouncer, Inflatable Interactive Product, Water Bed, Wide Slide, Soft Shapes, The Arch, Inflatable pirate Product, Colorized Round Ball Pool, Building block, Educational Toys, Cartoon rocking horse, Soft Mat, etc. This naughty castle is based on underwater and pirate theme, by design.The integral volume is large, the longest part of 20 meters, the width of 16 meters, the highest 2.8 meters. The toddler playground can accommodate 80-85 children to play. The toddler amusement area contains the rich entertainment equipment - Inflatable Bouncer, Inflatable Interactive Product, Water Bed, Wide Slide, Soft Shapes, The Arch, Inflatable pirate Product, Colorized Round Ball Pool, Building block, Educational Toys, Cartoon rocking horse, Soft Mat, etc. 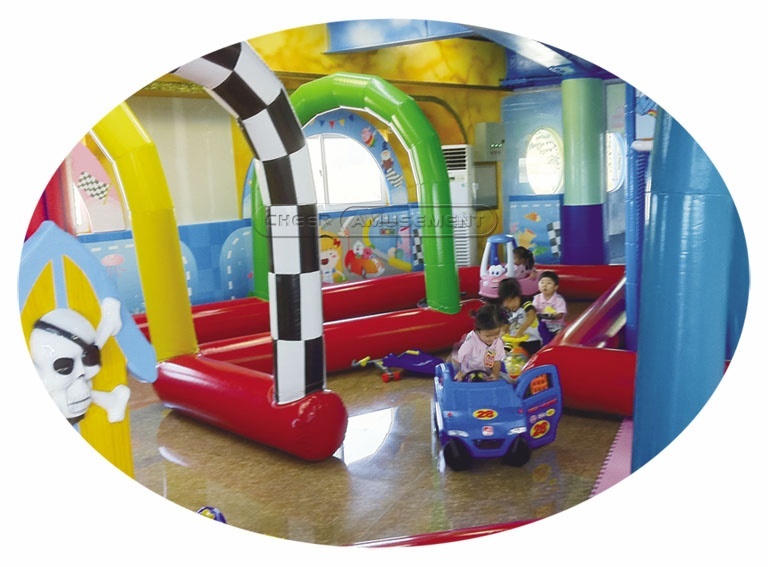 In here, the children can find the toys or amusement equipments most suitable for themselves. 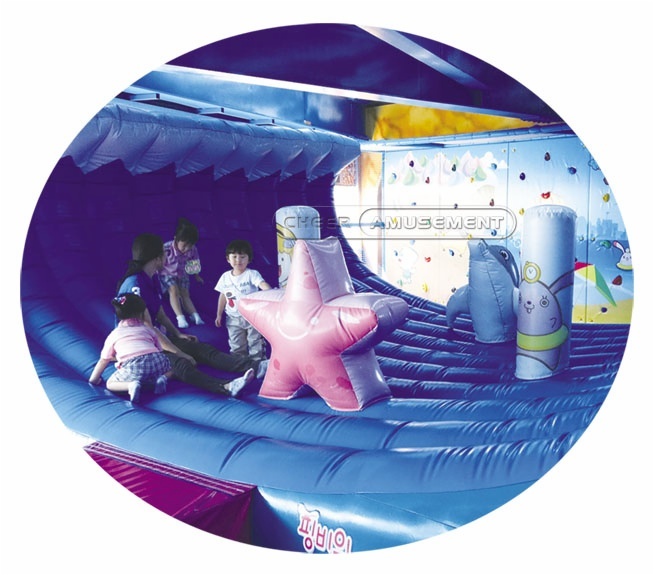 Related to the theme, the dominant color of the children’s amusement park is blue, then matchs bright colors, will help create a pleasant atmosphere. 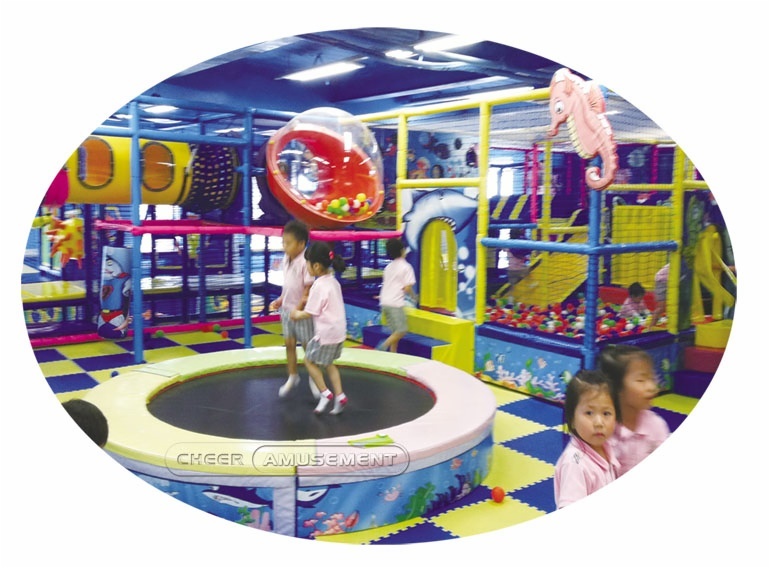 The toddler amusement area can satisfy 3-8 years old children climbed, jump, run, throw activities requirements. And children can invite partners play together, increase the kid's interaction and communication skills for children to provide more fun. The floor is decorated with soft mat, loose, brushy soft mat is fetching long above sit and is not harm children when they are playing. 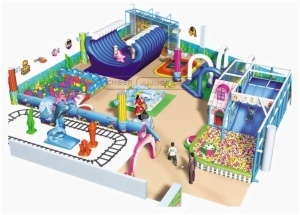 This toddler playground is suitable for most of the play centers, amusement parks, shopping malls and so on, the playground is fit for the younger babies, plus beautiful external form, novel type, sturdy and durable. And well received by the customers love and praise. Every weekend we will prepare special theming activities. We promise kids will get a good environment to play and learn here. Toys enrich our lives, You are welcome to bring your children to every party! Like all “Cheer Amusement” products, our toddler play equipment is created for safety first. All materials used are fully meet the requirements of the relevant standards, combined into structures of a scale and size appropriate for younger users. The additional free-standing units and play panels help stimulate a toddler's growing brain with age-appropriate cognitive challenges. Good for a toddler's mind and body, our custom toddler playground spaces are an excellent addition to any daycare or other commercial playspace with younger users. We can design for any size area, providing fun and stimulation for children even in tight quarters.